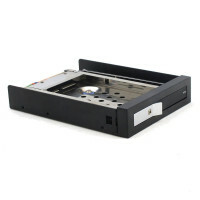 SE-IHD-5321S-2U SATA Mobile Rack lets you turn a standard 5.25-inch desktop drive bay into a dual removable 3.5-inch and 2.5" hard drive bay. 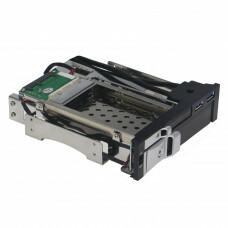 The SE-IHD-5321S-2U features a SATA interface to deliver the performance you expect from SATA, SATA II, and SATA III hard drives. This mobile rack supports hot-swap and tool-free HDD installation. 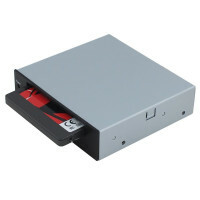 It eliminates the need for the drives to be installed in a tray, and delivers quick and easy access to hard drives. It also comes With 2 USB 3.0 ports. You can add easily 2 x USB 3.0 Port to front of your PC.